As reported in an article published back November 2003, mortgage referrals have been ruled to constitute brokerage transactions. Many of you are compensated for referring clients to financial institutions. We would like to remind you of some of the obligations this carries under the law. In the course of our inspection visits to agencies, we have noted that many brokers take advantage of this opportunity. However, not all brokers disclose this fact to their clients. In fact, we still see too many people who neglect to do it, or who only do it verbally. Therefore, we would like to review the main principles that apply when referring clients to financial institutions or mortgage agencies. When is it necessary to disclose? If a broker obtains an advantage (monetary or otherwise) when a client does business with a financial institution to which the broker specifically referred the client, the broker is in a potential conflict of interest, because he has an “interest” in that client doing business with a given institution over another one, due of course to the “return” offered by one and not the other. What does nature of the remuneration mean? Remuneration, in the broad sense of the term, can take many forms. In addition to money, remuneration can consist in trips or purchase coupons granted for a given number of referrals. It can also take the form of brokerage contracts awarded by the lending institution for repossessions concerning some of its borrowers. But regardless of the nature of the remuneration, directing your clients to one lending institution over another should always be based solely on the client’s best interest (better rate or payment terms), not your own. It is important to know that disclosing this type of arrangement to your clients verbally is not consistent with the rules. To facilitate this task for agencies and brokers, the OACIQ has designed a form based on the new regulations. It is called DISCLOSURE OF REMUNERATION AGREEMENT OR SHARING and is available on the OACIQ website on the Inspection forms page. 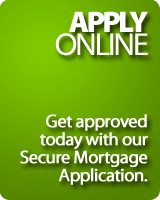 You can use it to list and identify the mortgage lenders or financial institutions with which you have arrangements. You simply need to give a copy of it to your client and to your agency, who will file it in your transaction record. This way, there is no ambiguity and the client knows exactly where he stands. Of course nothing prevents you from disclosing this in the form of a letter or even by email. The important thing is that this disclosure be done without delay, in writing, and by you. Who must make the disclosure? Disclosure by the mortgage or financial institution representative instead of by the broker does not meet the requirements of the Act and does not relieve the broker of his disclosure obligations. Remuneration agreements must be disclosed in writing by the broker himself, before the buyer is referred to the lending institution. In coming months, the Inspection Department will, in the course of its inspections of agencies and brokers, focus on this aspect of real estate brokerage and will reiterate this message, which appears to remain unclear to many. Action will be taken in case of repeat offences. The public’s trust in our profession is at stake.